Ms Patel said her actions "fell below the standards of transparency and openness" and the PM said her decision was "right"
Shadow Cabinet Office minister Jon Trickett said Priti Patel should have left the government before tonight. The Labour MP told the BBC: "It is clear that the minister... broke the ministerial code. It has been clear all along. "She should have gone immediately but instead the prime minister prevaricated, allowed a soap opera to run all week, with the minister scuttling off to Africa then being dragged back." Kate Osamor MP, Labour's shadow international development secretary, said Priti Patel appeared to have breached the Ministerial Code and "gone behind the government's back and misled the British public." She continued: "After initially denying the allegations, then repeatedly changing her story and failing to disclose all of her meetings, it is right that she has now resigned. "But we still need to know what was discussed in these meetings and what Number 10 and the Foreign Office knew and when." She said Theresa May needed to "get control of her chaotic cabinet". Reading our live page from outside of the UK? This guide aims to explain exactly what has happened with the resignation of Priti Patel and why it is important to the British government. 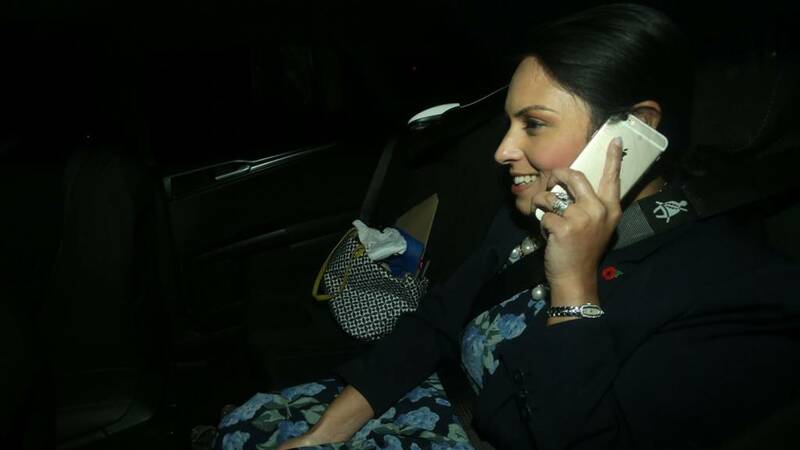 Video: What went wrong for Priti Patel? Video caption: Cabinet minister's resignation: What went wrong?Cabinet minister's resignation: What went wrong? Lord Polak, who it is thought was present at meetings in Israel with Priti Patel, should be thrown out of the Conservatives, a senior Tory has told the BBC's political editor. The shadow international development secretary has called on Theresa May to get control of her "decaying government" after the resignation of Priti Patel or step aside to let the Labour Party govern. Kate Osamor said: "Priti Patel appears to have breached the Ministerial Code, gone behind the Government's back, and misled the British public. "After initially denying the allegations, then repeatedly changing her story and failing to disclose all of her meetings, it is right that she has now resigned. But we still need to know what was discussed in these meetings and what No 10 and the Foreign Office knew and when. "Theresa May must get control of her chaotic cabinet and decaying government or step aside for Labour to govern for the many not the few." The Liberal Democrat's foreign affairs spokeswoman said Priti Patel had "rightly been forced to step down for her cover up", calling it a "major failure by the British government"
Jo Swinson said: "No 10 must answer questions about their complicity in this scandal. "Someone has been deceived, either the British people or the prime minister's office. Whichever it is someone must be held to account. "It is right that Patel has gone but Theresa May's office now needs to reveal honestly what they knew and when." The SNP's Westminster leader, Ian Blackford, has said that the events around Priti Patel's resignation have been embarrassing for Theresa May. He said: "This has been utterly humiliating for the prime minister. "Theresa May couldn't manage a resignation without making a global shambles of it."